After undergoing heart valve surgery at 3 months old, today Peri’s a bright, spirited, singing-and-dancing kindergartener thanks to Boston Children’s. 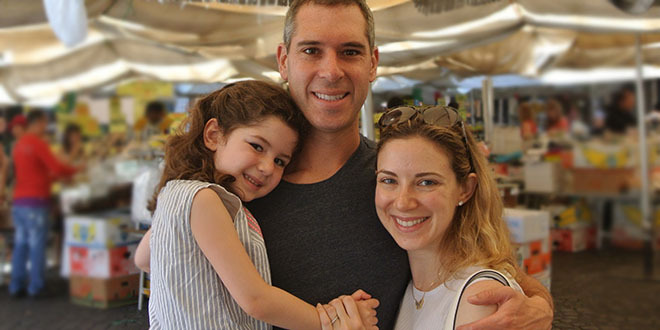 Her grateful parents, Neal and Yona, established a tribute fund so loved ones could join them in making gifts—whether celebrating special occasions like birthdays and holidays, or as outright support for the Congenital Heart Valve Center. Visit participating retailers and support Boston Children’s. Get your kids involved. There are many ways to give back as a family. Give the gift of your time. Pitch in at one of our events, volunteer at our patient-family housing and more. Did you know Boston Children’s is home to the world’s largest research enterprise at a pediatric hospital? With 250 clinical programs, we offer more breadth and depth than any other pediatric hospital. Your donation allows us to push the boundaries of care—developing safer, more effective treatments for kids battling illness. Our more than 1,400 researchers are working hand-in-hand with clinicians to translate discoveries to patients. It’s why families locally and around the world seek care here—care made possible by your generosity.